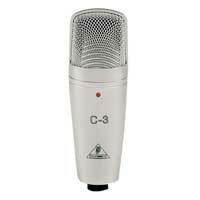 The C-3 dual-diaphragm condenser microphone is ideal for high-quality studio recording and live applications.The selectable omnidirectional, cardioid, and figure-eight pickup patterns offer ultimate versatility needed to professionally record vocals and acoustic instruments. 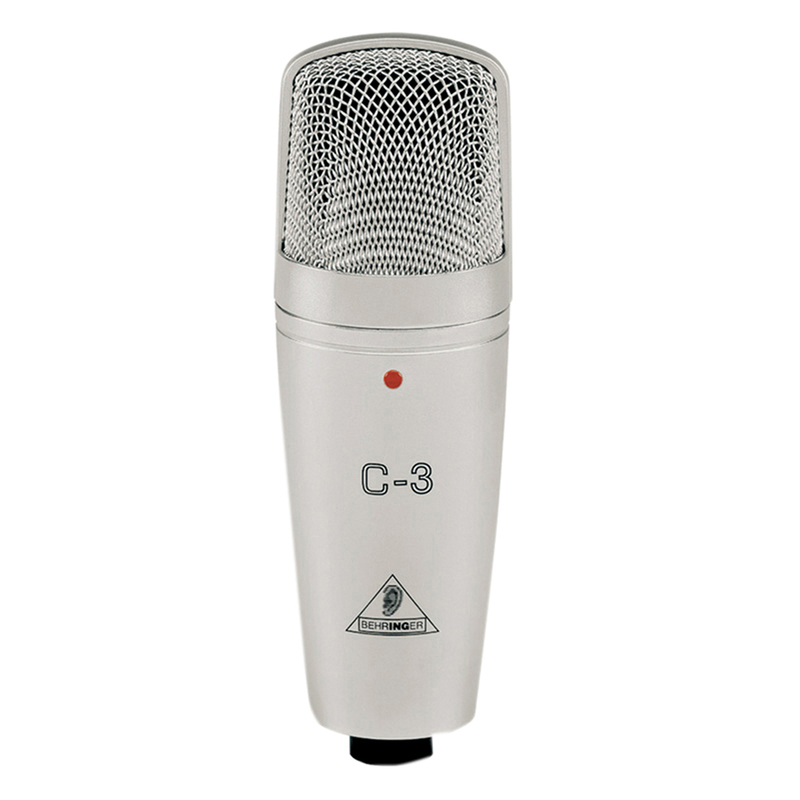 The C-3 holds a pressure-gradient transducer with a shock-mounted dual-diaphragm capsule. Its ultra-high sound resolution and flat frequency response rival those of microphones with much higher price tags. It also includes an LED that indicates phantom power operation and a gold-plated XLR output connector to ensure highest signal integrity. The C-3 comes with extensive accessories such as swivel stand and transport case.The C-3 represents state-of-the-art technology at a price that is simply unheard of.